Sarah Paulson has opened up about her relationship with Holland Taylor. The 43-year-old actress, who has been dating Holland (75) for more than two years, has revealed that she appreciates older people in a way that many people do not. The actress - whose parents divorced when she was a child - told the Sunday Times Style magazine: "I was always looking for some kind of grounding force. "People look at me and Holland and say, 'Mommy issues', but I parent her as much as she parents me, so that's not it. "I've just always had older friends. I think a lot of people have a stunted way of looking at older people, it's a way of distancing themselves from something that they think will not happen to them. I have the good fortune of being with someone who is older and wiser than I am." Before dating Holland, Sarah was in a relationship with former '24' star Cherry Jones, who is 18 years her senior, and she admitted she's always got on well with older people. The 'People v. O. J. Simpson: American Crime Story' actress came out when she kissed Cherry in congratulations after her then-partner won a Tony award, and she feels "lucky" it has never had an impact on her career. She said: "I was lucky. And I felt really protected. I never had to worry that my job was in jeopardy." 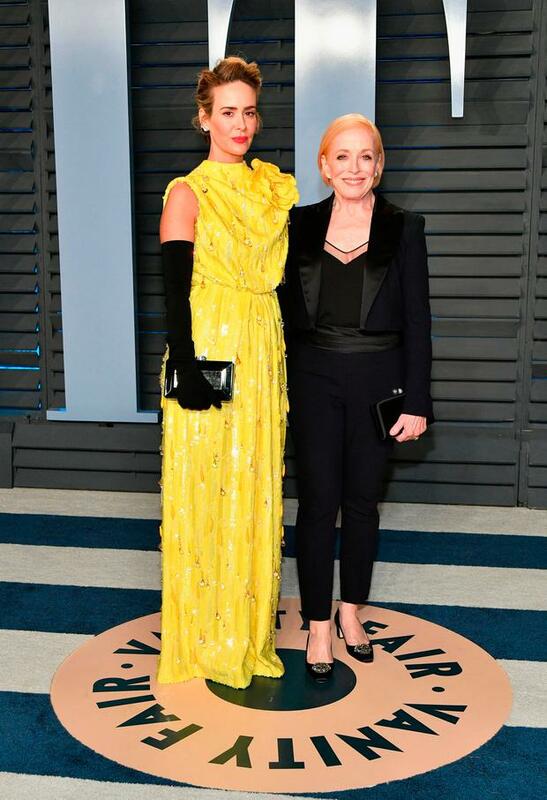 Paulson previously said that she did not want to have children in the future, but has now revealed that she has had her eggs frozen although she is still unsure about whether or not she will have children. "I love kids, but I'm very impulsive and I was afraid that I would have children and then regret it. But that's not something I feel entirely confident about either, because I might regret not having them, too. So I froze my eggs, just in case."